There are many ways to get rewarded for using Swagbucks. You can earn Swag Bucks (SB) or points for your time spent on Swagbucks by taking surveys, searching the web, watching videos, discovering great deals and doing more online activities. These points are redeemable for free gift cards, PayPal cash or prepaid cards from Visa. 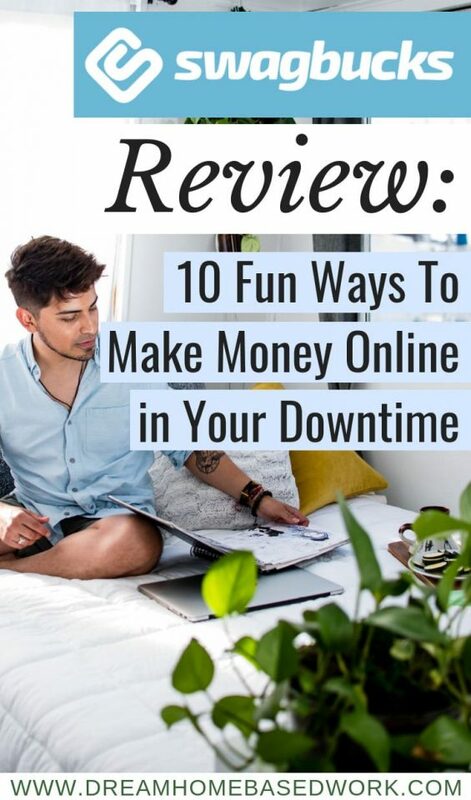 If you sit in front of your computer they let you earn SwagBucks or virtual money for what you do already online every day. This site is very similar to CashCrate and BankrollBucks. 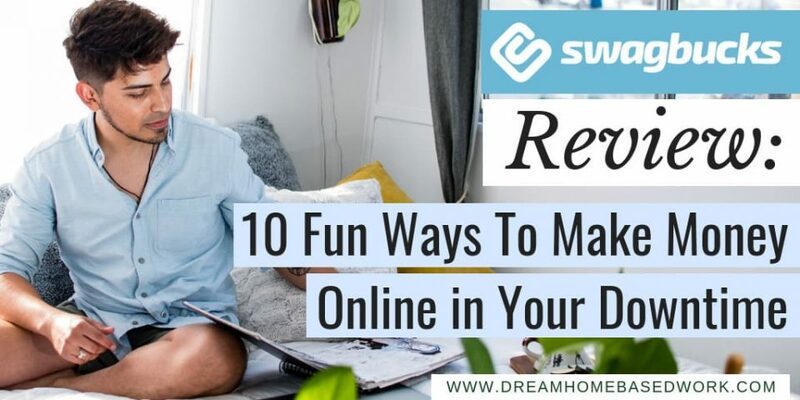 Swagbucks is an online rewards and cash back program that lets you earn real rewards through online activities you would normally do online every day. Swagbucks is a legitimate site. You will earn Swag Bucks or SB for short, for every single activity that you will do on Swagbucks. There are many ways to earn points or Swag Bucks (SB). Your points (Swag Bucks or SB) can be redeemed easily for cash, or gift cards to your favorite stores. Swagbucks is a subsidiary of Prodege LLC and is based in Los Angeles, California. The site has over 13 million members. It has awarded over US$100,000,000 (100 million dollars) in real rewards. It is always free to join. How to Sign Up and Get Started Earning Rewards? First, you need to sign up for a free account. You can create an account using your email address or signing in with Facebook. Once your account is created, you can earn some quick and easy SBs by filling out your profile, installing SwagButton browser and making Swagbucks your default search engine. So you can start anywhere and be earning rewards right away. One of the best deals on gift cards they offer include is the $5 Amazon.com gift card. You can earn it if you have 450 SBs. They are introducing a new $3 Amazon Gift Card that is only 300 SBs. Starting March 2nd, you will be able to redeem 2,200 SBs for one $25 Gift Card of Your Choice (excludes PayPal and Gas Cards) once a month. You can earn Swag Bucks when you shop online through their links to your favorite stores. For instance, if you click through Swagbucks to Amazon to purchase anything, Swagbucks will receive some commission from Amazon for that purchase. The good news is Swagbucks shares a portion of that commission with you. They are partners with major brands like Amazon, Walmart, Gap and Target. So if you do shopping often online and buy things from these major brands, your points can add up over time. Bookmark the Swagbucks Shop page and use it every time you plan on buying something online. Install the SwagButton which will alert you anytime you are visiting a site where you can earn SBs. You can earn points by shopping their special offers too. If you use search engines a lot why not make Swagbucks your default search engine and earn SBs for your searches? You can be able to earn 20 SBs to 50 SBs per day for searching the Internet, and earn up to $15 or more per month doing something you would do anyway. Plus you will experience the same great search results when you type in your search terms into their search bar. One of the best ways to get rewarded for using Swagbucks is by taking their surveys. It takes about 20 minutes to complete a survey. The earnings or rewards vary per survey. Some surveys can pay up to 300 SBs each. You can only take surveys that match your profile. You can take at least the daily survey that pays 60 SBs. If you are able to take 2/3 surveys every day, you can be able to make $10-$30/month taking paid surveys. If you do a few surveys every day, your rewards will add up and hep you earn more extra cash. Learn more! You can get paid to watch videos using the video channel on Swagbucks. There are plenty of videos in many different categories like entertainment, health home, personal finance, sports, technology and more. You are likely to find something that is interesting. You can also keep them going in the background while you work on the computer. It is possible to earn $50-$100 per month watching videos that appeal to you in your spare time. Related: Can You Really Make Money Watching TV? You can use coupons to help you save money at the relevant stores. You will earn 10 SBs for every coupon you use. It takes only 45 coupons to get a $5 gift card. You can earn extra points by printing coupons off of Swagbucks. You will earn extra points for every coupon you print. You can earn Swag Bucks for completing various tasks like reading articles, giving feedback on a company’s website, searching the web using specific search terms and much more. You can earn referral points or SBs when someone signs up for Swagbucks through your referral link. You can share your referral link on Facebook, via email or on your blog. You will continue to earn 10% of the SBs your referral earns so long as they are active on Swagbucks. You can get as many referrals as possible, with no maximum limit. Invite your friends to use this site. Swagbucks gives you rewards for playing games. They have a lot of fun games. You can earn 2 SBs per 2 games. You can play up to 10 games per day. If you are used to play a lot of games on your computer or phone, why not earn some rewards for playing games on their site? If you use credit cards often then why not also earn extra bucks for using Swagbucks’s credit card? Once you have opened an account for their credit card, you can earn 1,000 SBs as a first usage bonus after using your card or transferring a balance within the first 3 billing cycles. You can also earn an additional 2,500 SBs when you spend $1,000 within the first 6 billing cycles. Swag Bucks is one of my favorite ways to make money online and I recommend it 100% to anyone who spends time online.